It’s true, I’ve already said my piece about Meyer lemons. The thing is, they’re still here. They’re kind of all over the place. Smooth and bright little yellow jewels, bunched in baskets at every market, crying out for me to turn them into cakes and dressings and curds (oh my). 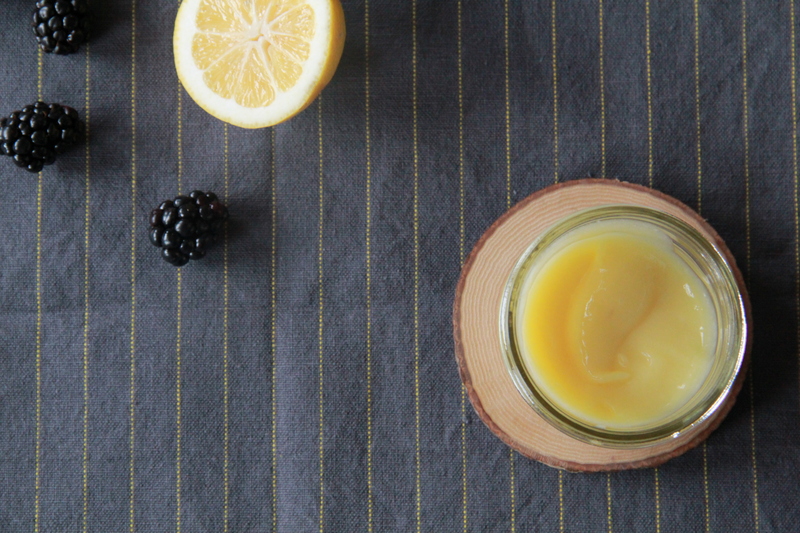 Lemon curd is a gorgeous thing, really. Dreamy. It sings with flavor, simultaneously tart and sweet, with a texture spun of silk, so smooth and downy soft you’ll want to just start spreading. And spreading and spreading some more. I’d start with toast. Maybe a scone. Definitely swirled into some plain yogurt for a dressed up breakfast, or folded into a bowl of soft whipped cream alongside some berries for a decadent dessert. Do with it what you will, just make sure you do with it, not without. Yes, this recipe does call for over a cup of sugar and almost a pound of butter. So what? It makes a fair bit of curd. If you’re looking to use this as a tart or pie filling, I’d definitely add a few sheets (or spoonfuls) of soaked gelatin to the curd just before straining, as this one is beautifully loose and lacks the viscosity needed to hold up as a proper filling. Whisk sugar, lemon zest, juice, and eggs together in a medium, heat-proof bowl (stainless steel works very well here). Add the cubed butter and place the bowl over a medium-sized pot of simmering water to form a bain marie (double boiler or hot water bath). Cook the mixture over low to moderate heat, whisking frequently to ensure even cooking and to prevent the eggs from scrambling. Once the curd has thickened to the consistency of hollandaise sauce (this can take as long as 1/2 hour), remove it from the heat and pass it through a fine strainer into a bowl to remove bits of zest and cooked egg. Press a piece of plastic wrap directly on top of the curd (this prevents a skin from forming), and chill the curd in the refrigerator until quite cold, roughly 2 or 3 hours. Use as a pie or tart filling, a tangy spread on toast, or mixed into your morning yogurt. 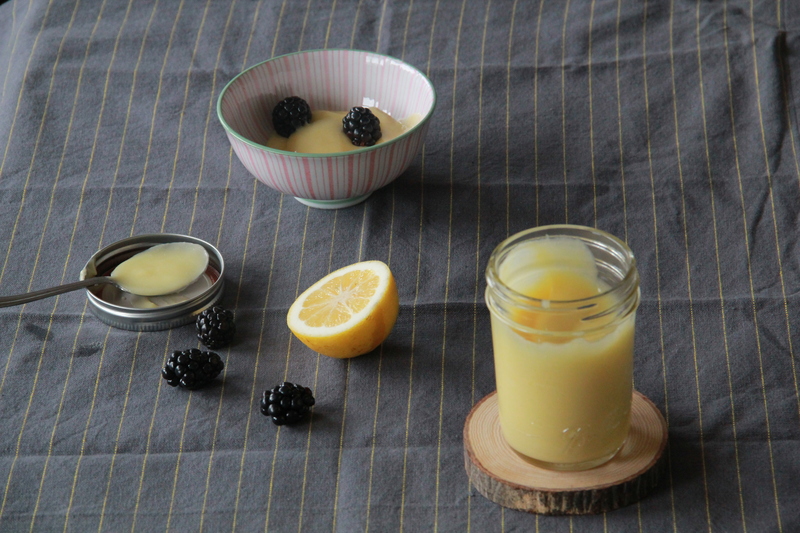 Lemon curd will keep, airtight in the refrigerator, for 4-5 days. It also freezes well and, frozen, will keep roughly 2-3 months. Makes about 1 quart lemon curd. ohhhh those test kitchen memories 🙂 ours didn’t quite work out, did it? i’d love some on a warm berry scone when you get a sec. k thanks. 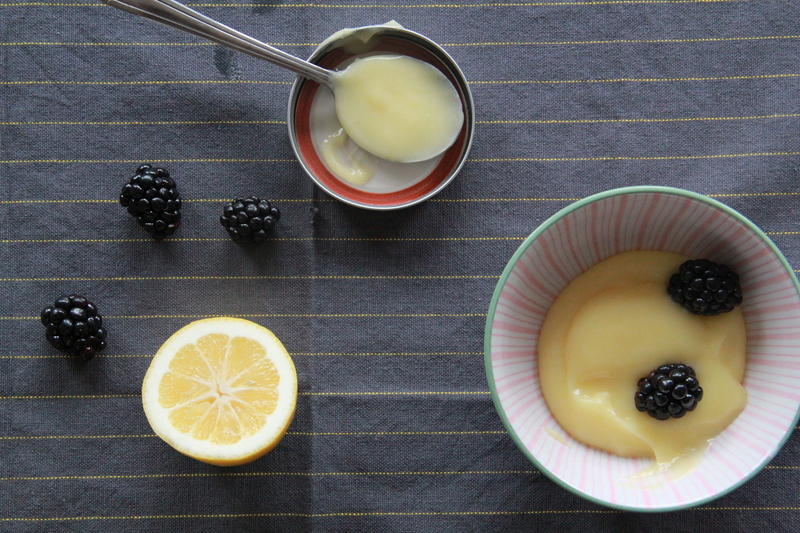 Lemon curd is one of my guilty pleasures. I try not to make it too often since I tend to “taste-test” it until it is all gone! Delicious. I especially love lemon tarts.